Modern 1 bed, 1 bath condo in the heart of historic Congress Park. 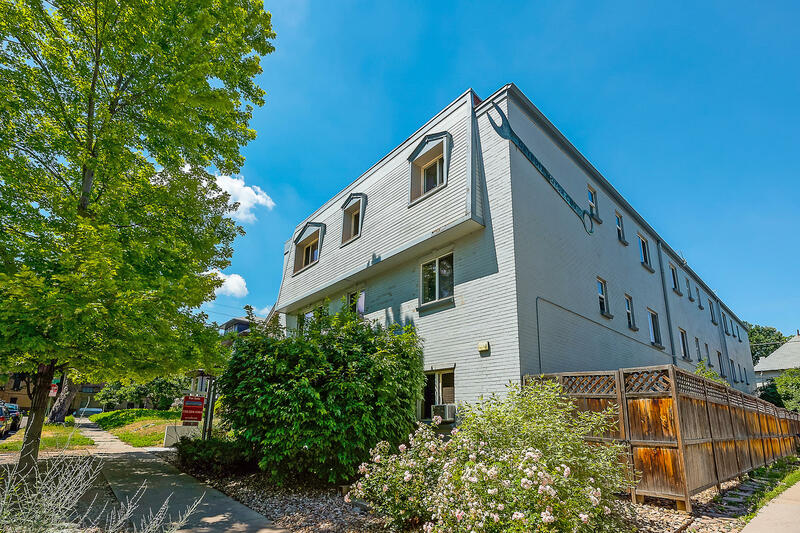 Features include updated stainless steel appliances, washer/dryer IN your unit, TONS of natural light, and beautiful floors that were updated just last year. Enjoy peace and quiet in this top floor unit without the noise of upstairs neighbors! Outdoor amenities include 1 deeded parking space, convenient bike storage, and a shared patio with a grill. The HOA includes a small storage locker, 3-piece workout room, gated entry, wired & wireless internet, cable TV, and HEAT. All you’re left with is electricity! This busy neighborhood has it all. The Bluebird Theater, Denver Biscuit Company/Fat Sully’s Pizza (open late! ), and Cerebral Brewing are all less than a 5 minute walk from your doorstep. Just a few blocks further is City Park with plenty of room for running, walking, and picnicking. The park is also home to the Denver Museum of Nature and Science which includes everything from IMAX movies to hands on learning activities to traveling exhibits. The newly constructed Carla Madison Recreation Center complete with a gymnasium, leisure pool, and free weights is only a 5 block walk away and offers a variety of membership options. 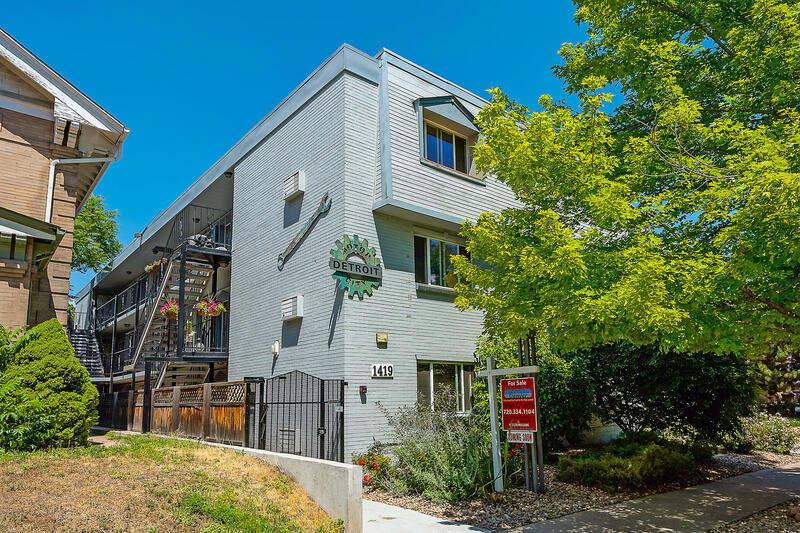 Easy access to I-70 via Colorado Boulevard, I-25 via Colfax, and Downtown Denver. The Denver 1 district has some of the best schools in the city. Standardized test scores at Teller Elementary School show that students are performing well above grade level. Morey Middle School is preparing students for success with above average participation in STEM courses such as algebra. East High School recently earned a College Success Award by showing high rates of its graduates and graduating seniors enrolling in college.